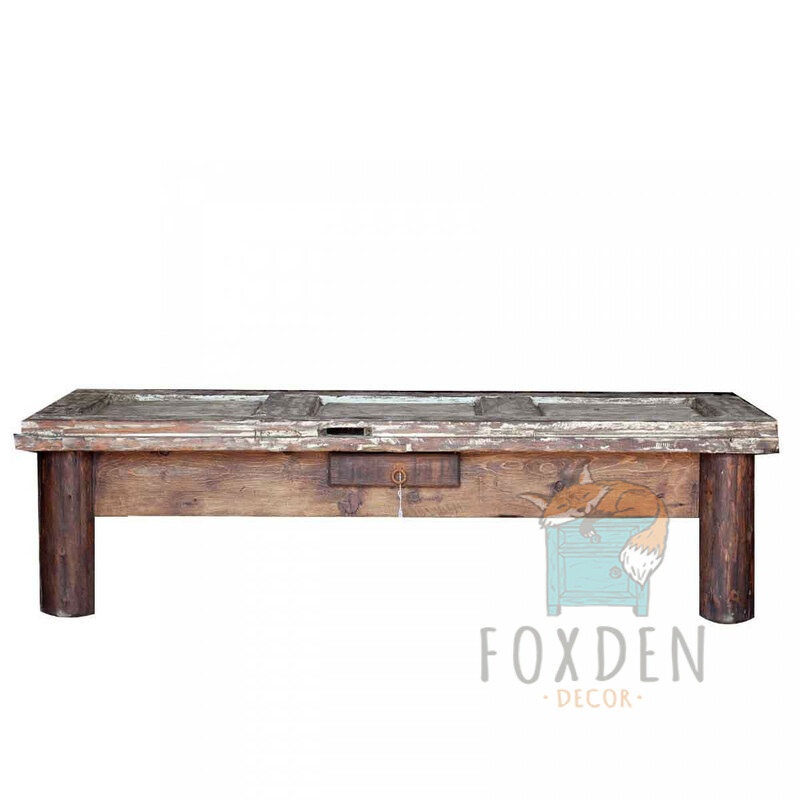 Our beautiful reclaimed barn wood coffee table is crafted from a mixture of unique wood. 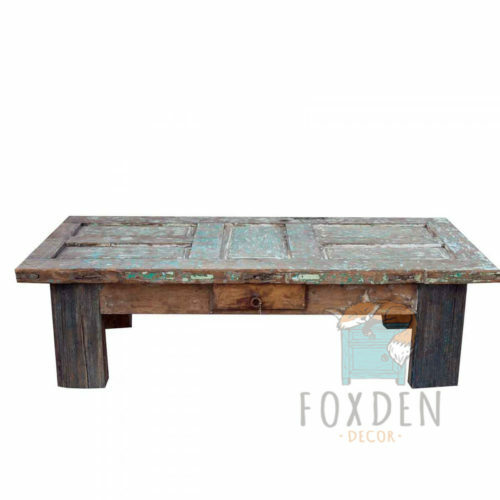 The top is an old rustic door while the legs are a mixture of reclaimed wood from old barns and stables in Mexico. Every piece is unique, so please expect variations in color and size but we will do our best to match the dimensions as closely as possible. 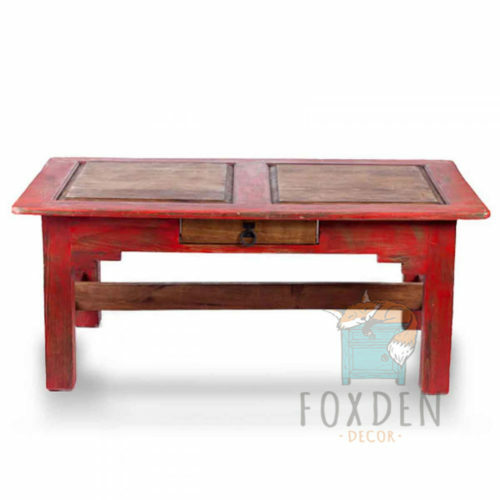 As always there is no other piece exactly like this one, but if the color shown isn’t right for you, then you are sure to find the color you’re looking for by visiting our collection of stains. 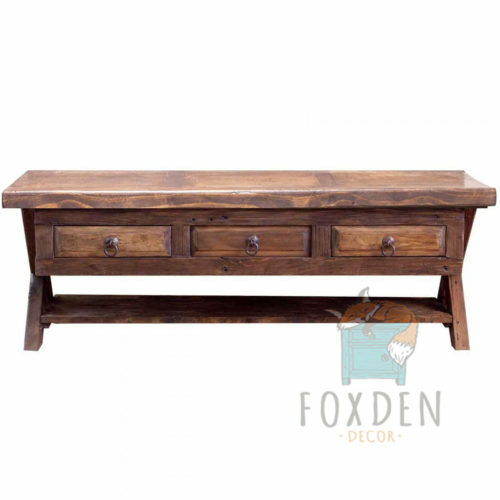 As always, we’ll be happy to place a custom order and no additional charge to ensure you get the piece you are looking for.